The Cairns Flying Fox Advisory Committee was informed at the last meeting by an eminent flying-fox expert that the Spectacled Flying Fox (SFF) population in Australia has now decreased by 80 to 85% meaning it would now likely meet the criteria for Critically Endangered status. At the same meeting, Cairns Regional Council (CRC) advised that the SFF ‘deterrence’ plans for the Cairns Library Camp would go ahead and had been moved forward to as early as March. Significant threats to Spectacled Flying Foxes include loss of habitat/food sources and persecution at camps. Food sources have been lost through coastal development, agricultural intensification and cyclones. With such a dramatic decline in population numbers, it is possible we could be witnessing a negative feedback loop. Even at the current status of Endangered, a 70% loss of population surely has major ramifications for the World Heritage listed Wet Tropics. Surely fewer bats means fewer seeds are being spread. Fewer seeds means fewer trees which means less food for the bats. Less food, fewer bats. And the cycle continues its downward spiral. This is extinction in action. Long term recovery will depend on funding research on food sources and applying it to actively restore food sources across the landscape. But this will take time and in the meantime, we must find ways to urgently protect the species wherever they are, including in urban areas. A new threat in the form of heatwaves and heat stress has emerged, as evidenced by the loss of over 23,000 SFF in November last year. To be clear, heat stress has never been a significant issue for this species before. Heat stress has affected other species further south, but the November heat wave was the first time the SFF population had been significantly struck by this threat. The event was the equivalent of coral bleaching for our Wet Tropics, sending a clear signal of just how swiftly and significantly climate change impacts can occur. This is a new threat for which many people are now looking to find solutions. It is worth noting, however, that this heat stress event came on the back of a starvation event with hundreds of bats dying from lack of food in the lead up. As if these large, complex issues weren’t enough, this critically endangered species doesn’t even have basic protection from direct habitat disturbance and destruction. 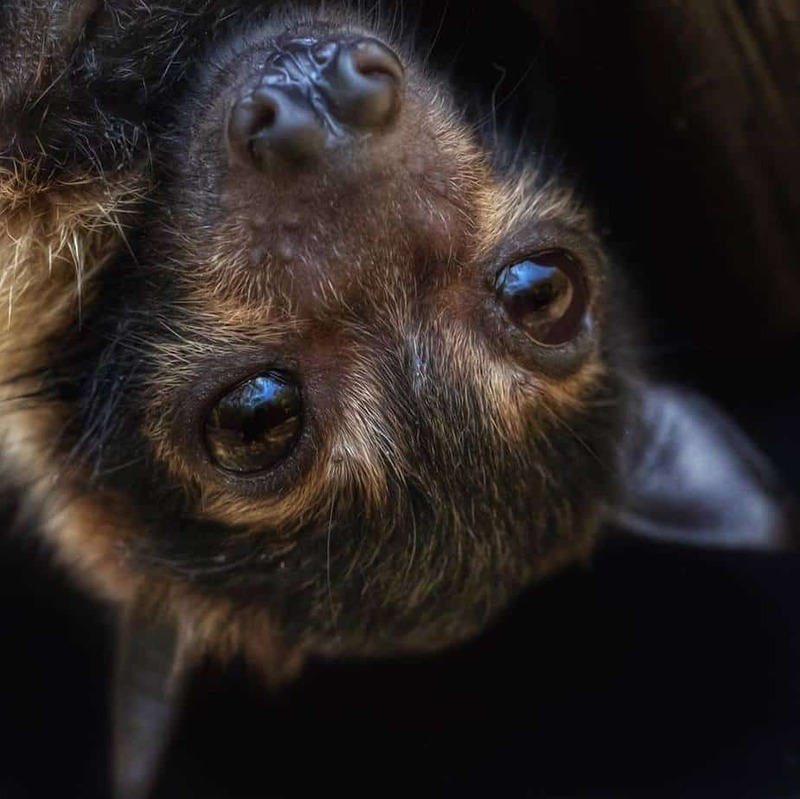 State legislation allows dispersal and destruction of flying fox roosts in urban areas and makes no exceptions for Threatened and/or Endangered species of flying foxes other than to draw the line at directly killing them. Before coming to office in 2015, the aspiring Palaszczuk government acknowledged this was a problem and made commitments to change it. However, since coming to power six years ago, the Palaszczuk government have left in place Newman-era legislation, presiding over the continued rapid decline of the species. At the federal level, ambiguous legislation has allowed roost destruction to avoid controlling measures based on the uncertainty of what is considered a ‘likely’ or ‘significant’ impact on the population. We argue that disturbance at the Cairns CBD camp can no longer possibly be considered as not ‘likely’ to have ‘significant’ impact when it is the only camp in the region that is permanently inhabited, has possibly fared better than other camps (such as those at Edmonton) in the November heat wave and could potentially now contain more than 10% of the entire national population. Furthermore, it appears federal assessments are relying on state legislation to protect the species and state assessment is relying on federal legislation – it is a classic blame shifting exercise which results in nobody being held accountable for protecting biodiversity and preventing the extinction of a keystone Wet Tropics species. Both levels of government have obligations to do so and both need to urgently step up to the plate. We don’t underestimate the negative side effects of living next to a colony of flying foxes but our community is being sold the lie that getting rid of them is as easy as blasting sound. There is a distinct possibility that dispersal in the CBD will result in the bats spreading out and affecting a greater number of residents with management becoming even harder and more expensive. Dispersal doesn’t work in the long term and costs a fortune. CRC has not been honest with ratepayers about this in the way other councils have. Already it has been alleged we are spending $200,000 a year in Cairns just keeping them out of Esplanade and Woolshed trees and when the sound blasting stops, the bats return in a few days. The SFF only started moving to these less desirable locations following the systematic removal of 25 out of 38 original roost trees in the CBD, primarily on the Novotel block which has now been divided and sold to develop the Cairns Aquarium and the New Crystalbrook Hotel currently under construction. All three levels of government have allowed this destruction to happen. Now add in the costs of the CRC’s proposed ‘deterrence’ at the City Library Camp which will send thousands of bats searching for new roosts. CRC will also be able to undertake necessary additional deterrents elsewhere should the bats land in other less desirable locations. Does that mean we could also see ‘deterrence’ at the adjacent Munro Martin Parklands? Or maybe ‘deterrence’ at Cairns Central Swamp where it is alleged they would pose an increased air-strike risk due to proximity to flight paths? What if they move to suburban areas? Will we ‘deter’ them there as well? Seriously, how much is this going to cost? And for how long, before the CRC admits the costs are unsustainable? What’s more, a study that looked at the success of 25 dispersals in other municipalities found that the flying foxes didn’t move more than 6 km. Where exactly will CRC allow them to land within 6 km of the Cairns CBD library camp? The proposed Edmonton release cage is more like 12 km from the CBD. There is no evidence to suggest they will move this far. What is the chance CRC’s ‘deterrent’ activities will move the SFFs to even less desirable locations within 6 km of the CBD? The original proposal was to put the cage at Cairns Central Swamp less than 6km from the CBD, leave it there for at least two breeding seasons to see if the CBD bats move on their own and, if not, then in time consider ‘active management’ or dispersal/deterrent and only if it was scientifically supported. There are three key aspects to current plans that nullify community and carers conditional support for the original proposal. 1.) Location of the release cage: the release cage in Edmonton is supported as a safe place to release rehabilitated animals with hopes that as the juveniles grow, they will return to Edmonton and not the CBD. However, with the cage located more than 6 km from the CBD, there are no expectations that the current adult population or babies raised in the CBD will move this far. 2.) Timing of ‘active management’ or dispersal/deterrent: the release cage has not been established, let alone in place long enough to observe if the bats will move without the cost and stress of dispersal/deterrent activities. 3.) Scientific support: CRC have failed to provide evidence from eminent flying-fox experts that the ‘deterrent’ is scientifically supported. There is every chance that the CRC’s management activities won’t work and CRC have not communicated the risks involved in these very expensive management interventions. If it doesn’t all go to plan, it could be worse for the community, worse for the bats and result in unsustainable costs to ratepayers. On Friday 26th April, we, as a community, will stand together in peaceful assembly to show our solidarity for the great loss of bats that died during the heatwave, and for the few that remain who continue to struggle in their survival. We will stand together enmasse to show our local government that we disagree with the implementation of disruptive and costly management actions that have no evidence to support them. Fill in your details and send off the form as is, or make changes to it as you please. On the submission page we’ve also provided links to the referral documents if you would like to write your own submission. If you have time we always recommend an individual submission but understand many of us are busy hence the template option.